I was invited along to my very first Yelp event at Staple Foods and I wasn't really sure what to expect. As a new yelper it was a bit odd walking in! Staple foods is tucked away in Crowbar and opens from 8am to 5pm. They're looking at eventually expanding beyond the breakfast/brunch/lunch range to dinner somewhere in the future, but for now, it is what it is. I had heard of Staple Foods before. They don't have a great gluten free rep, even though they cater for "healthy." (I do have a lot more to say on that whole gluten free is a healthy option thing, but I digress, this is not the place!) I did notice no one was asked anything about allergies or if they were veggie before we began. It would have made it a little smoother, because at the table were two gluten free diners and a vegetarian, who had to skip one of the dishes. The actual food was gorgeous. The first dish was beans and bread. Obviously, I can't eat the bread, but I had a few forkfuls of beans to taste them. They were delicious. The cross contamination fear had a hold of me though with the bread on the plate and, as it was a shared plate, I decided to exercise caution. 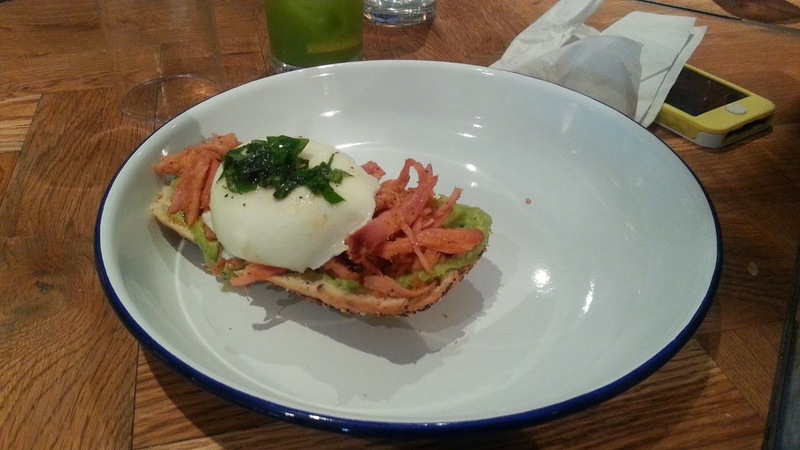 Secondly, we had what I can only describe as a scrumptious avocado, bacon, and egg dish. For everyone it was on seven grain bread, except for the gluten free. Honestly, I don't think it needed the bread at all. Standing alone it was delicious! Then there was dessert! Spoiling us! Roasted strawberries on buckwheat pancakes. There was a slight tartness to it that added that extra punch needed. 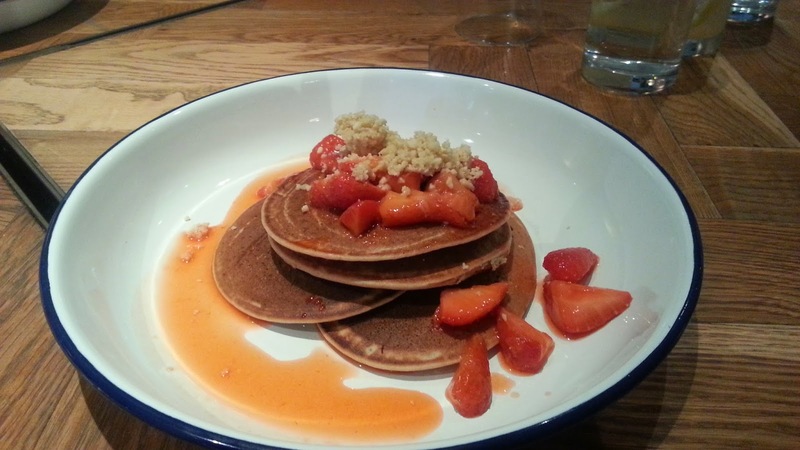 As buckwheat pancakes go, they were lovely with slight sponginess in the middle. Typically a buckwheat pancake will be much thinner and as a result crisper, so this was a lovely change. All in all, I said 4 star on the Yelp Review. I thoroughly enjoyed my breakkie. I am concerned over the whole gluten and allergy issue, so I had to knock it for that. P.S. 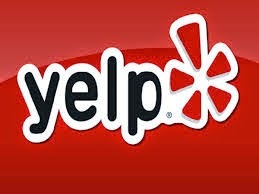 If you want to be our friend on Yelp just ask! I've been posting random tips up!